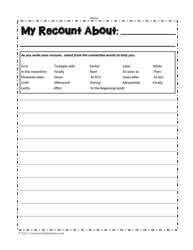 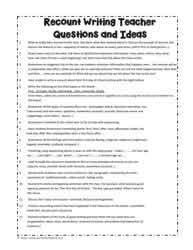 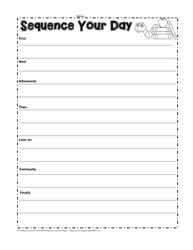 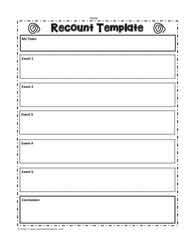 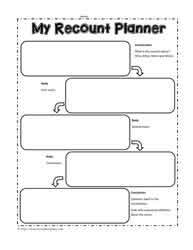 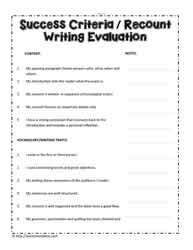 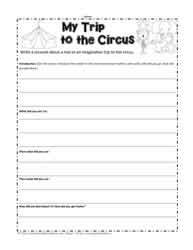 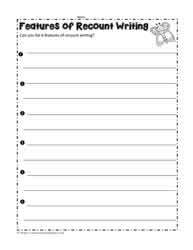 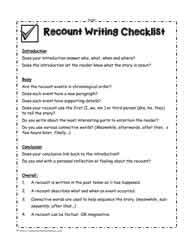 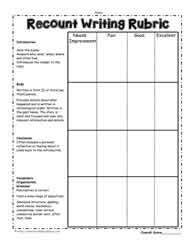 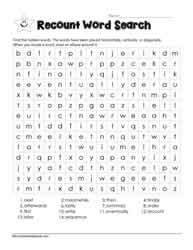 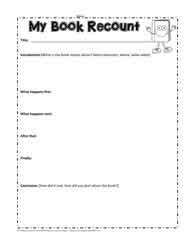 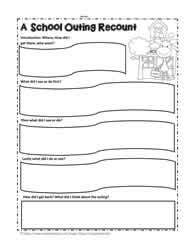 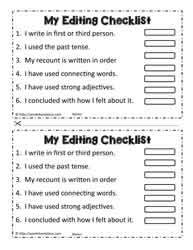 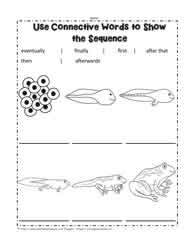 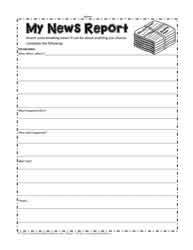 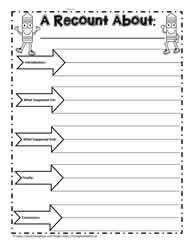 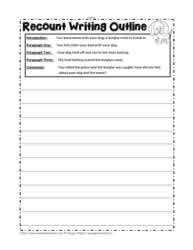 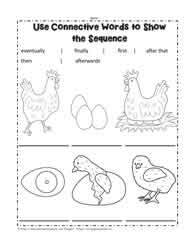 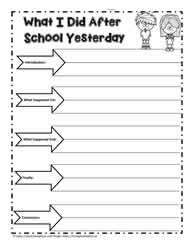 Recount writing worksheets for grades 2 to 4. 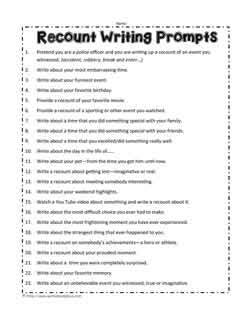 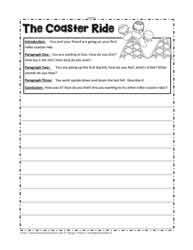 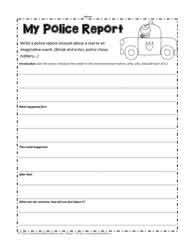 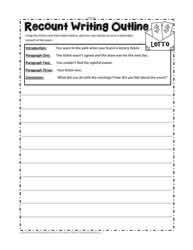 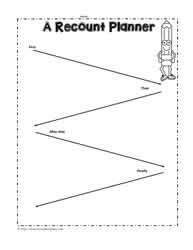 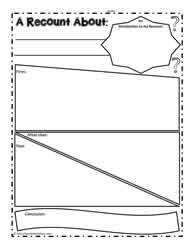 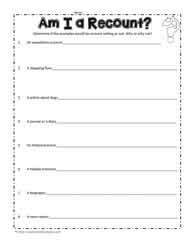 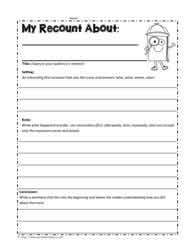 A variety of worksheets for learning about writing recounts. 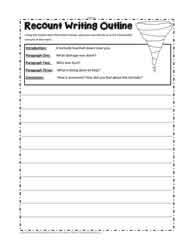 Teacher ideas and strategies for forms of writing.